Belgian priest José Comblin, one of the most important representatives of liberation theology and who was expelled from Chile and Brazil during various periods for his ideas, died today at 88 in the Brazilian city of Simoes Filho of natural causes, church sources say. Comblin, a scholar of the Church in Latin America and author of works such as “Teología de la Liberación”, “Teología de la Azada” and “Ideología da Seguridad Nacional”,died in the small city of Simoes Filho, in the state of Bahía (northeast) where he had traveled to give a class to the base communities. The priest, who had heart problems and used a pacemaker, was found dead in the room where he was staying by other religious who were waiting for him for morning prayers and were surprised at his delay. The body of the Beligian priest will be waked today in the city of Salvador, the regional capital near Simoes Filho, and buried in a small town in the impoverished Brazilian state of Paraíba according to his wishes, EFE was told by spokespersons for the Archdiocese of Barra, which is also in the state of Bahía where he lived. 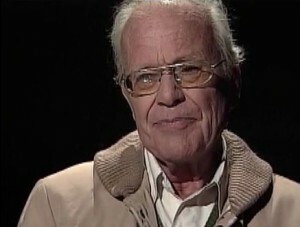 Comblin was one of the followers and main advisers to the Brazilian bishop Hélder Cámara, the defender of human rights and the Church’s option for the poor, who came to be known as the “Red bishop” during the Brazilian dictatorship. 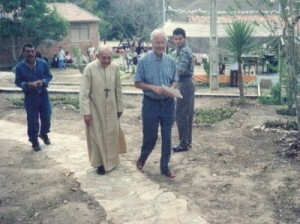 In addition to specializing in research on the Latin American Church, the Belgian priest also contributed to building liberation theology, especially that which was addressed to poor farmworkers and residents of rural communities. Comblin, who was born in Brussels on March 22, 1923, was ordained in 1947 and graduated with a doctorate in Theology from the Catholic University of Louvain. The priest came to Brazil for the first time in 1958 in response to a request from Pope Pius XII for European priests to act as voluntary missionaries in regions that lacked priests. He initially settled in Campinas, in the interior of the state of Sao Paulo where he served as a professor and got close to the Juventud Obrera Católica (Young Catholic Workers), for whom he worked as an adviser. In Sao Paulo, where he stayed until 1962 before traveling to Chile, he was professor in the Dominican School of Theology to friars who distinguished themselves later as liberation theologians and in the resistance to the Brazilian dictatorship, including Frei Betto and Frei Tito. After three years of giving classes in the Theology School in Chile, he returned to Brazil in 1965 upon receiving an invitation from Hélder Cámara, then bishop of Recife, to work as a professor in the Theological Institute of Recife. His controversial books and his work with the liberation theologian made him a target of the Brazilian military regime, who ordered his arrest and deportation in 1971. For eight years, he lived as an exile in Chile where he helped create a rural seminary in Talca but, after the publication of a book about the ideology of national security, he was expelled by the Augusto Pinochet regime in 1978. The Belgian priest then returned to Brazil to work in the state of Paraíba, where he founded a rural seminary, but, as he had entered the country on a tourist visa, he had to travel abroad every three months to renew the authorization. His legal situation was barely normalized after the amnesty law of 1979. In addition to his theological works and the seminaries he helped to found, Comblin also created various lay movements such as Misioneros del Campo and Misioneros del Medio Popular. Our loss of Jose Comblin is a call to commit ourselves to the work of liberation in the spirit of the Gospel. The work is still urgent and our Church is still called to a “preferential option for the poor”. This call challenges much of the contemporary culture of the Vatican as much as the political culture of our day. May we learn to live in solidarity with the “joy and hope, the grief and anguish of all people especially those who are oppressed in any way” RIP Jose Comblin.